Here is the story of one prestigious Parisian address over 75 years of history. 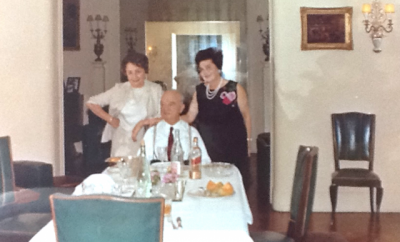 Jeweler Joseph Liebman flanked by his wife Hilda (right) and her sister Elly Ringel in the Neuilly dining room in the summer of 1965. 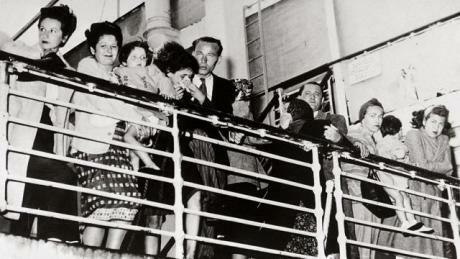 Aunt Hilda welcomes the Ruby family to Neuilly in 1961. 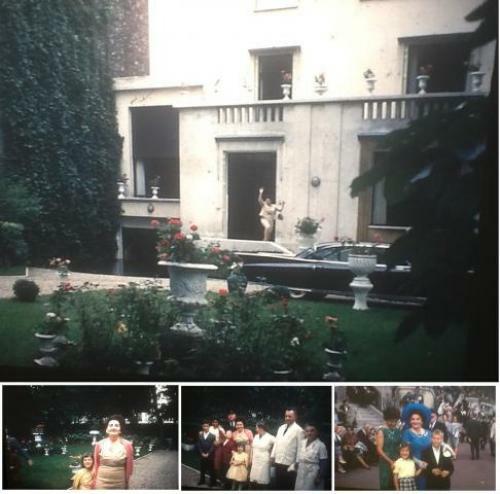 In Paris, we visited my mother's glamorous Aunt Hilda, who lived with her second husband, Joseph Liebman, a jeweler, in a grand villa near the Seine in the suburb of Neuilly. My most vivid recollection of the house is all of the marble surfaces. Also, the potency of the rum cake served after dinner, which caused me to tip over in my chair. Hilda with headgear in 1946 before her marriage to Joe Liebman. Hilda was the younger sister of my grandmother Elly Ringel, daughters of the Wohlgemuth from Danzig. Hilda and her first husband traveled with Elly and my mother in their difficult escape from Europe between 1939 through 1941. That's a different story. Hilda split from her husband after arriving in New York. While Elly took up millinery work—hatmaking—to support her daughter, Hilda became a chambermaid in the Catskills, on the lookout for an eligible new husband. She found one in Joseph Liebman, the Russian-born French jeweler who was waiting out the war in the U.S. Later he would maintain a base in New York after recovering his holdings in Paris and Monte Carlo. Joe and Hilda on the town and at the racetrack. 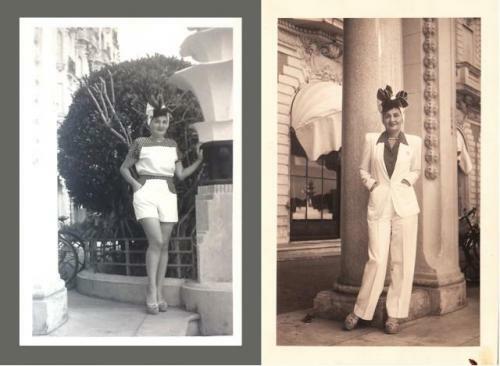 Joe and Hilda lived a fabulous lifestyle in the 1950s and '60s, with lavish apartments in New York and Monte Carlo as well as the villa in Neuilly. As children, we saw them a few times in New York and we would get gifts from Hilda regularly. Very often, the package would be a ski sweater sent from Chamonix or St. Moritz. 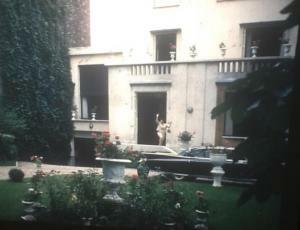 That 1961 stay in Paris gave us a glimpse into the Liebman's lifestyle. We visited the iconic Clerc jewelery store on the Place de l'Opera, the centerpiece of Joe's empire. But it would be many more years until we understood more about his business and life story. Joseph Liebman died in 1968, and from what we heard from our mother, the lion's share of the estate went to Arnaud Clerc, Joe's son by a previous marriage. Hilda was left with resources to maintain a lifestyle. Arnaud took possession of the villa and Hilda lived in the apartment at the Hotel de Paris in Monte Carlo. Our family members got to see her on European visits. I saw her a few last times when she came to New York for cancer treatments in the late 1970s. She died in 1983. Arnaud Clerc adopted the name of his father's jewelry business after arriving in the United States in 1940. All of that faded into the recesses of memory until 2010 when my sister Joanne was in Paris and wanted to go by the address of the Neuilly villa. I looked online to see if I could figure out the location. There I discovered a French-language jewelery blog giving a history of the founding and early years of the Clerc jewelery business. The blogger, one Jean-Jacques Richard, recounted that founder Remy Charles Clerc expanded from an original location to add two adjacent storefronts on the Place de l'Opera. He meant to leave one store to each of three heirs, but one son died in World War I and the other two ended up in a dispute over the inheritance. A French jewelry blog carried an extensive though incomplete history of the Clerc jewelry store and brand. Public notice of 1932 Clerc shareholder meeting at which Joe Liebman takes control of the company. According to the blog, the founder's son Charles assumed control of the company in the 1920s but met with losses and took on outside partners. In 1932, a syndicate led by Antwerp diamond merchant Joseph Liebman took over control of the Clerc brand, inventory and real estate, including the store leases and the residential villa in Neuilly. Later during the Nazi era, one of the original Clerc brothers would try to reclaim ownership of the business. 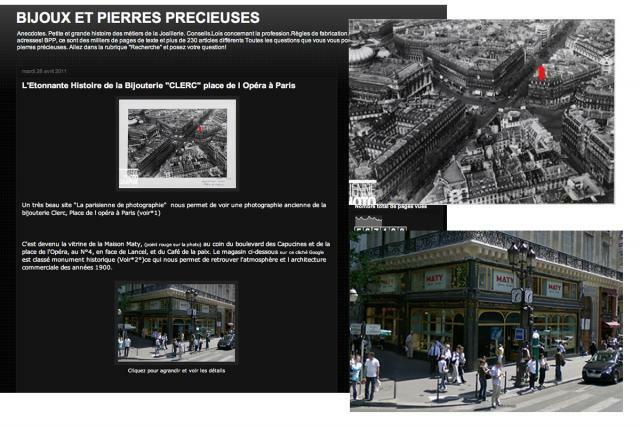 That case is the main reason that we know what happened with the Clerc business and property during the years of the Occupation. 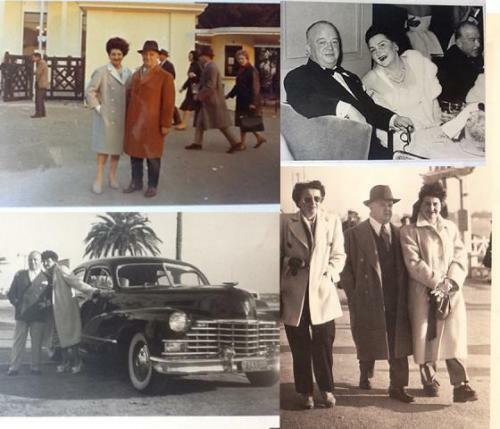 The Liebman family sailed first class aboard the SS Quanza from Lisbon in August 1940. Passengers were not allowed to disembark in Mexico and were eventually admitted to the U.S. at Norfolk. After the German invasion of the Low Countries in May 1940, Joe made hurried preparations to close his affairs and flee from Paris with his wife and two children. He arranged for a non-Jewish associate to assume token ownership of the business, and left the villa in the hands of an Italian friend. He departed Paris with jewelry stock worth close to 4 million francs, about half of which he left on deposit in a bank in Perpignan. The remainder he carried on his person on his voyage to America. The attempted recovery of the Perpignan assets would become a prime obective of the "aryanization" proceedings to come. 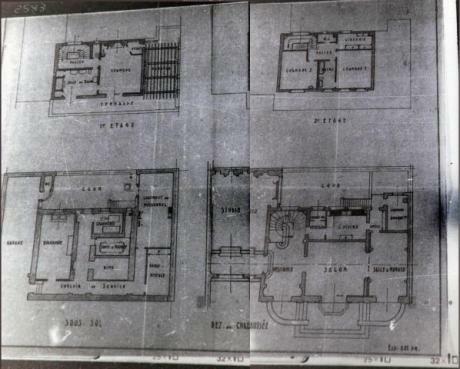 Aryanization files for Clerc case included floor plans for the Neuilly villa. It was Nazi policy to "aryanize" Jewish-owned businesses in its occupied territory. In Paris, an office headed by Dr. Blanke was in charge of economic aryanization of French businesses. Seized businesses were placed under the control of an administrator, who could either sell it off or run it as a business under new management. Armand Biney was appointed as the administrator of the Clerc Bijouterie. 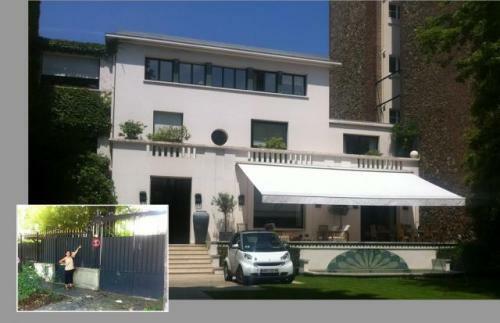 He brought in new management and found an appropriate tenant for the property in Neuilly. Mme. Kleinknecht was known as the "queen of the Occupation" for her parties held at the Neuilly villa. Instead of selling the property, he rented it to the politically connected Walter Kleinknecht, a German businessman and intelligence operative. Kleinknecht's wife was a former French cabaret singer Laure Dissard, though their relationship was more of an arrangement. Laure had numerous liaisons among the French collaborationists and new Nazi elite. 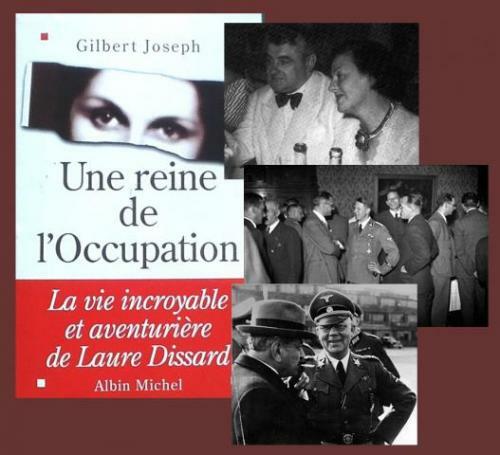 She held soirees at the Neuilly villa where Occupation and Vichy power brokers engaged in political intrigues. She became an informant herself, reporting against Resistance activities. 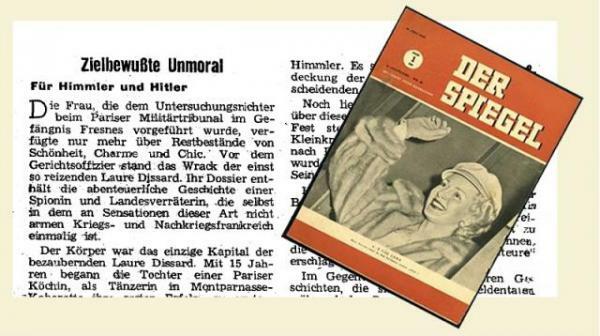 In 1948, Der Spiegel reported that Dissard met Adolf Hitler in Berlin in the aftermath of the July 22, 1944 assassination attempt against him. Others in her circle were implicated in the plot. Walter Kleinknecht was arrested and summarily executed. Dissard was spared. She returned to Paris in time for the Liberation, and was able to pass herself off as a Resistance member on the basis of her husband's demise. She went on to work with American intelligence after the war and established several business enterprises. But her days as the salon mistress of Neuilly were finished. 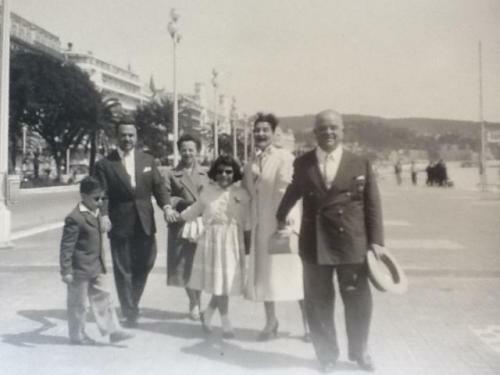 Arnaud Clerc and children Stephane and Alexandra with Hilda and Joe Liebman in Nice, France. Joe was able to reclaim his property after the war. 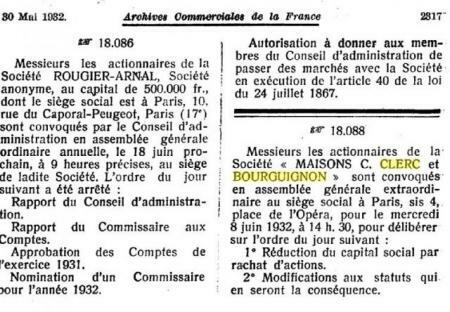 The French blog has two citations from 1946 and 1960 of cases in which Joe makes claims for restitution. But we know that by the 1950s, he had resumed operation of the Place de l'Opera store and also of the jewelry concession at the Hotel de Paris in Monte Carlo. He and Hilda also resumed occupancy in Neuilly. Joe's two children, Arnaud and Helene, both married and raising families, remained in the United States. 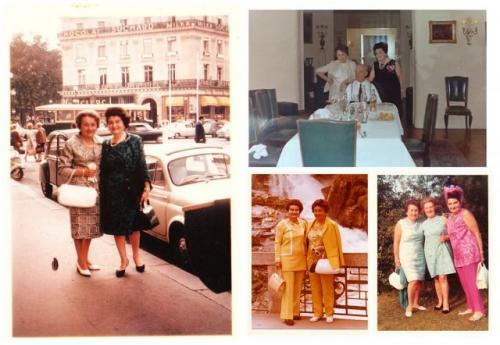 Elly and Hilda in front of the Clerc store and with Joe in the Neuilly dining room. Hilda loved to share her extravagant lifestyle with her practical older sister. We have my grandmother Elly's collection of photos and letters from Hilda through the years. Here they are in 1965 during one of Elly's visits to Neuilly. The dining room is the same salon where Laure Dissard entertained. Arnaud Clerc pictured with prominent personalities: Prince Charles, Salvador Dali,Charles de Gaulle, and fashion designer Paco Rabanne. Arnaud and Hilda came to an agreement after Joe's death in Monte Carlo in 1968. Helene must have been a part of that, too, but she lived with her American family in the unlikely location of Birmingham, Ala.
Hilda received a generous income from the Liebman estate but no substantial inheritance. Arnaud assumed control of the business and of the house in Neuilly. He set about establishing himself as a personality. Kisssinger and Tho (pictured with interpreter) met on three occasions at the villa on the rue de la Saussaye. 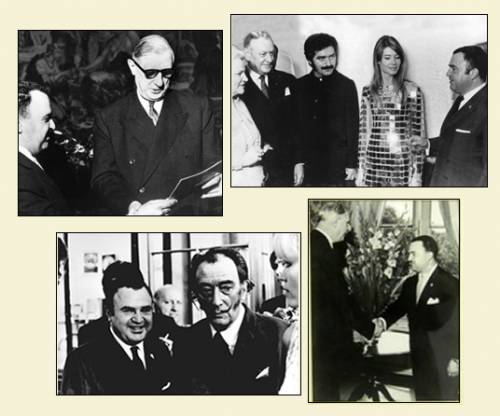 In 1972, Arnaud Clerc was in the news when his villa in Neuilly served as a venue during the Henry Kissinger Paris peace talks. Arnaud was active in the American community in Paris and was connected at the U.S. embassy. He offered to make his home available for unofficial negotiating sessions between the American and Vietnamese ministers. 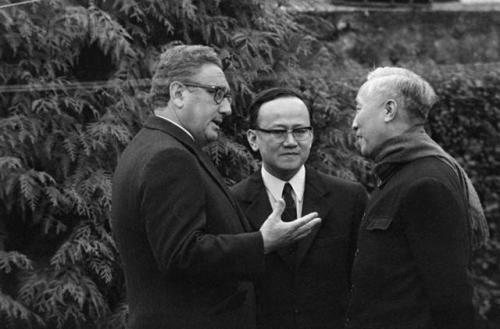 A first meeting between Henry Kissinger and Lee Duc Tho took place at 31 rue de la Saussaye in June of 1972. It was kept secret from the press corps and went unreported at the time. In subsequent rounds of talks in December 1972 and January 1973, reporters were staked out when the negotiating delegations arrived in Neuilly. News reports ran around the world. 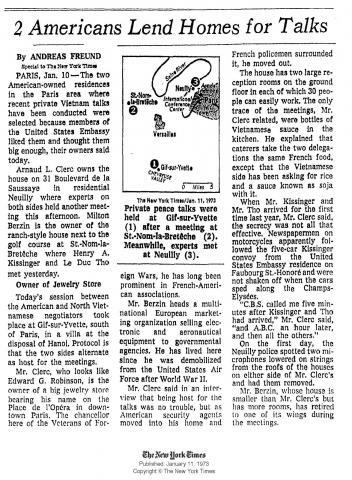 Here is how the New York Times covered the third round of talks held at the Clerc villa. Arnaud is described as resembling Edward G. Robinson in The New York Times report on the third round of peace talks held at the Neuilly villa. Like his father, Arnaud divorced and married a younger glamorous wife, Anita, in 1968. She bore him a son Gerald, half sibling to the two children from the first marriage. Madame Clerc, as Anita was called, presided over a literary awards dinner that Arnaud hosted for many years. The author Michel Clerc (no relation) was honored there in 1974 as reported in the fashion magazine l'Officiel. 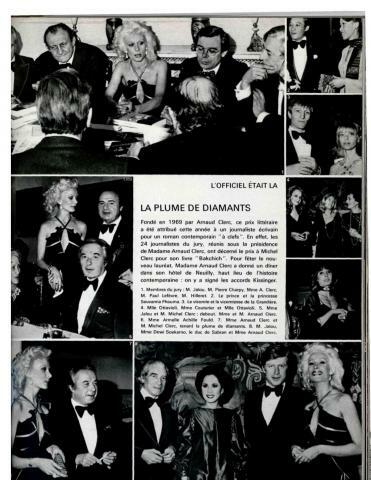 Anita Clerc presides at the Diamond Pen awards, as reported by l'Officiel. In the middle left she is with Arnaud (standing) and author Michel Clerc. When Arnaud died in 1989, with Helene Mack predeceased, that left five grandchildren to divvy up the Liebman estate. 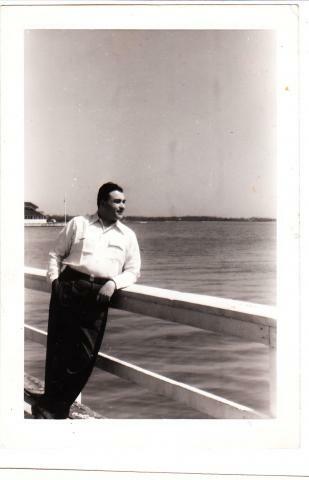 The youngest, Gerald, was the one with an interest in the Clerc business and brand. But he was just 20 at the time and things took their course. The jewelery store location was sold to Maty and the villa in Neuilly was sold in a private transaction. 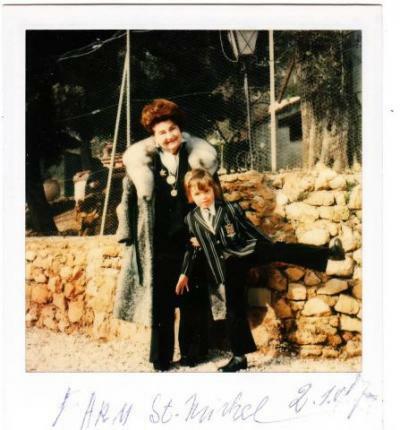 Gerald Clerc and Hilda Liebman in the early 1970s. Gerald Clerc has reinvented his grandfather's business as a luxury Swiss watchmaker based in Geneva. 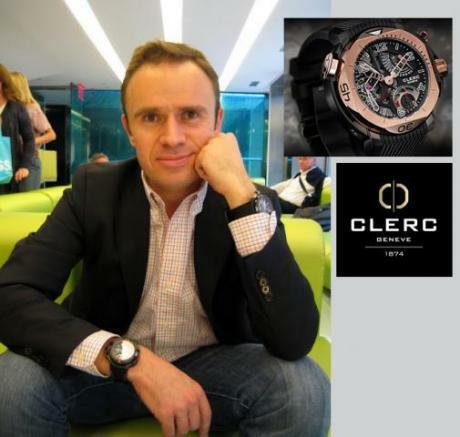 In 1996, Gerald Clerc revived the Clerc trademark and brand in the U.S. and Europe. He worked on high-tech watch designs and sells his creations under the brand of Clerc Watches, based in Geneva, Switzerland. When I became involved in the story after reading the French blog, I was able to correct Jean-Jacques Richard's misunderstanding about Gerald's rights to Clerc brand. I could prove Gerald Clerc is the son of Arnaud Clerc, and that Arnaud was the son of Joseph Liebman. Since there is no ongoing dispute over the legitimacy of the original business transfer in 1932, Gerald has every right to do business under the Clerc brand. The villa in 2012. Inset: Joanne at the front gate. 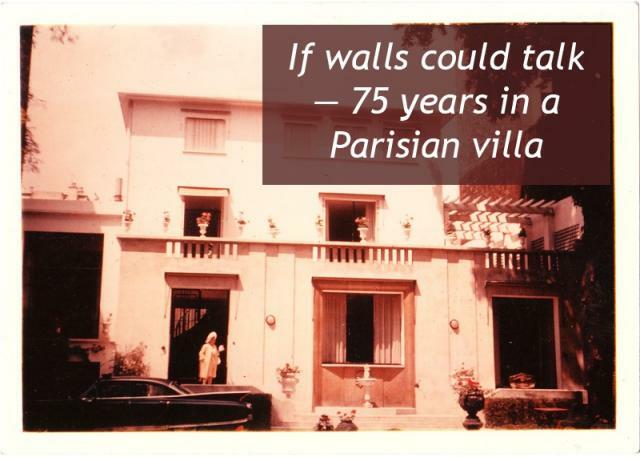 After I found the address of the Neuilly villa in one of M. Richard's archive documents, Joanne was able to walk up to the villa gate in June 2012. She was unannounced but the wife of the current owner let her snap a photo of the house in its current condition. The woman told Joanne that she knew a bit about the history of Joseph Leibman. This was now her private home and she did not wish to invite Joanne inside or share any recent developments. Still we are sure of one thing: If walls could talk, the plasterwork at 31 rue de la Saussaye would have interesting tales to tell.